Pennsylvania & Beyond Travel Blog: Traveling Abroad and Worried About the Zika Virus? Traveling Abroad and Worried About the Zika Virus? 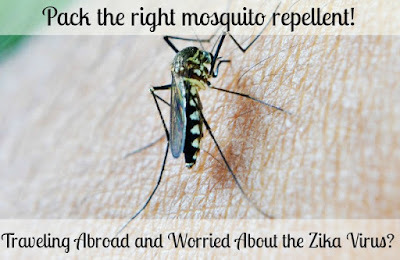 “Most people traveling abroad are not thinking about mosquito repellent, but they really should be,” explained Manny Castro, co-founder of Zika Shield, a company that makes all natural mosquito repellent products. “There’s no accounting for what types of repellent will be available where you are going, or if they are safe. - Know your size.The Transportation Security Administration allows aerosols in 3.4 ounce size or less to be put into one’s carry-on bag. Be sure that if you buy a spray that it doesn’t exceed that size if you plan to put it in your carry-on baggage. - Check ingredients.Not just any mosquito repellent will be effective at preventing mosquito bites from those carrying the Zika virus. One of the natural ingredients that the CDC recommends using is oil of lemon eucalyptus (OLE), which is effective at repelling mosquitos. - Go plant-based. Opt for a mosquito repellent that is plant-based and doesn’t have toxic ingredients. Non-toxic mosquito repellent helps people protect their health even more. 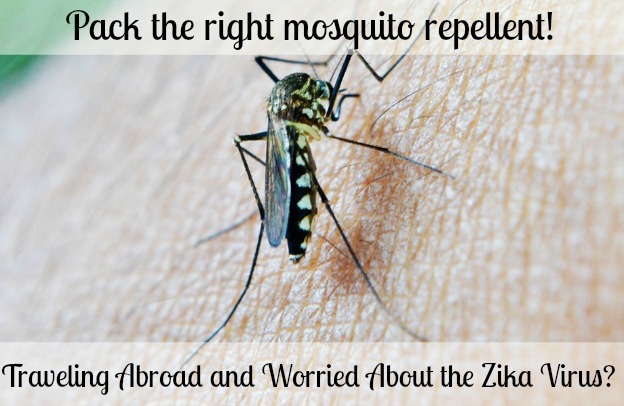 Zika Shield offers the number one mosquito repellent that is made from all natural ingredients and is non-toxic. Offering both mosquito repellent bands and spray, the products contains oil of lemon eucalyptus, which is the only plant-based ingredient recommended by the CDC as an effective way to help protect against mosquito bites. The repellent bands offer 72 hours of continuous protection from mosquitoes, while the spray offers six hours of protection each time it’s used. The all natural mosquito repellent bands and spray can be purchased online with free shipping. The company stands behind their product and offers a 100 percent money back guarantee. To learn more about Zika Shield, visit the site here: https://zikashield.com. About Zika Shield: Based in New York, Zika Shield was created by Manny Castro and Ryan Manfred. Their mission is to provide people with easy-to-use products that effectively repel mosquitoes to avoid insect carrying diseases. Their products, both repellent bands and spray, are all natural, plant-based and non toxic. I am glad that there is a company that offers mosquito repellant, especially against the Zika bearing mosquito. Thanks for the reminder about the 3.4 ounce aerosol can limit for flying.